To Nicolas Cenac from France, our candidate is one of the winners of the UEG Rising Star Award 2017. In this short video, Dr Sabine Roman will show you how to review an esophageal high resolution manometry. Croatian Functional Bowel Diseases group was founded within the Croatian Society of Gastroenterology. Initial group of 15 gastroenterologist founded CFBD and we elected prof. Dragan Jurčić, MD, PhD for president in 2015. Irritable bowel syndrome (IBS) is the most common gastrointestinal disorde. Personalized treatment options in IBS have been few and underpowered to deal with its complex and heterogeneous nature. A large-scale project, the bellygenes initiative, is now aiming to overcome these issues by studying IBS in relation to the genetic makeup of some 800,000 Europeans from well-established cohorts, biobanks and patients' collections. This online course, developed by the GM&H Section of ESNM, provides evidence-based information to update gastroenterologists on the role of the commensal gut microbiota in normal gut physiology and function, as well as its role in gastrointestinal diseases. 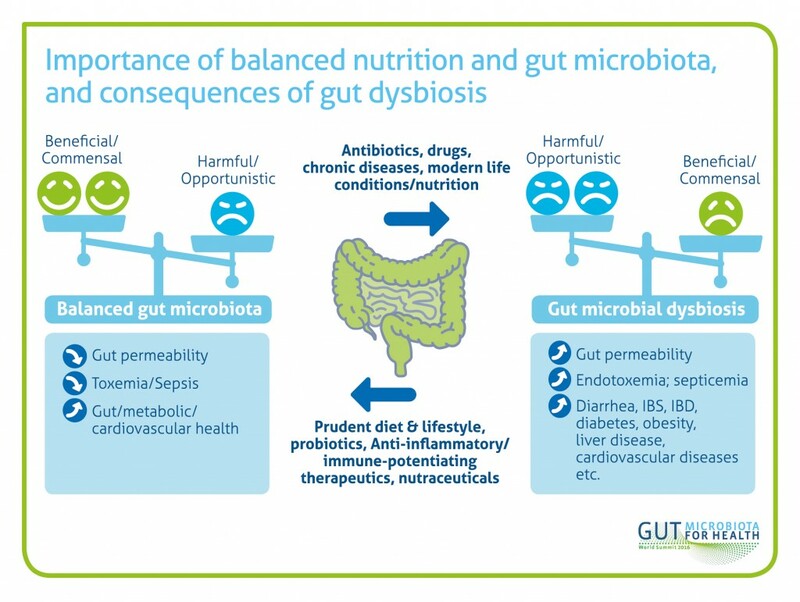 The introduction and three subsequent parts are to raise gastroenterologists' awareness of the importance of the gut microbiota in many clinical conditions. The course is accredited accredit by EACCME with CME activity for medical specialists. It wasn´t the largest UEG Week ever, but it was among the largest, with > 13.000 participants, nearly 2.500 attendants of the Postgraduate Course, more than 3.500 abstracts submitted and more than 2.100 abstracts presented, orally or as posters. And more than 300 were related to neurogastro topics: IBS, dyspepsia, pain, constipation, incontinence, microbiota, food (all fully searchable on the UEG website). www.neurogastro2017.org launched in December and outlines the key meeting themes which span basic, translational and clinical neurogastroenterology. The meeting themes include; Dietary Interventions Including Probiotics, Prebiotics and Synbiotics; Enteric Plasticity; Neurogastroenterology: Across the Lifespan; New Technologies in Clinical Neurogastroenterology; Biomarkers in Irritable Bowel Syndrome; Treatment of Visceral Pain – Lessons from Pancreatitis; Challenges in Severe Digestive Disorders; Stress and Functional Gastrointestinal Disorders; Enterochromaffin Cells, Endocrine Cells and Brush Border Cells: Role in signaling from the lumen; Food Allergies, Intolerances and FODMAPS. Abstract submission and online Registration will open shortly. Keep up to date with meeting information by logging on to, www.neurogastro2017.org. nEUROgastro TANDEM 2017 – applications are open! Application is highly recommended to European young physicians and scientists currently working or interested in the field of neurogastroenterology and motility. Explicitly invited are the European participants of the Little Brain Big Brain meeting that was held in San Francisco earlier this year. Step up to shape the future of neurogastroenterology and motility by being part of nEUROgastroTANDEM 2017. At the UEGW2016 in Vienna the first GENIEUR-reloaded Common Interest Group Meeting (CIG) took place which was well attended. An up-date on the current status of GENIEUR-reloaded, ongoing collaborations and grant proposals including one proposal within a HORIZON2020 call were given. The Swiss Society of Neuro-Gastroenterology and Motiliy (SwissNGM) general assembly and working group meeting took place on Wednesday 7th of December, 2016, at the «Spital Tiefenau», Bern, Switzerland. Following the assembly was a scientific program hosted by Prof. Radu Tutuian (Spital Tiefenau) and PD Dr. Daniel Pohl (President SwissNGM), dedicated to the topic «GERD-Therapy: The «Gap» between PPIs and fundoplication».